This study reflects the analysis of operational process of Tesco Plc. Tesco Plc is the largest business company in grocery retail market especially in UK. The company has more than 2291 stores in all part of the globe and more than 580000 employees. In UK grocery market, the company supplies 30 percent grocery products overall. The company faces various challenges from their competitors for unconventional operation management. This study focused in identifying the operational issues for Tesco through the analysis with theoretical approach. In order to conduct this study, analyst collected information from management and staffs of Tesco via interviewing some questions. Logistic system of the company does not relevant with the current demand of business especially in retail sector. The competitors of Tesco like ASDA, ALDI, Lidl, Morrison’s, etc enlarge their business using latest information technology system. Instead of physical logistics, Tesco adopted online logistic named pure players for the home delivery shopping of their products. However, online system unable to show the products properly to customer and information system does not provide appropriate information about stock level to management. It created complexity in business process. Just in time logistics system also not executed properly for Tesco in terms of outbound logistics. It increases high delivery costs for outbound delivery process. Identifying these issues, analyst recommends in adopting Prince2 Methodology system instead of Just in Time process in their logistic system. Moreover, e-procurement system is also recommended to Tesco in terms of mitigating high delivery costs for outbound logistic. In order to complete this assignment, analyst worked hard and collected primary as well as secondary data from various source. Primary data were collected by interviewing the management and staff as well as the customer of Tesco. On the other hand, secondary data were collected from the external sources such as internet, business related articles of Tesco, newspaper, etc. This assignment mainly focuses in analysis the logistics of Tesco. Therefore, in terms of completing the assignment required wide range of data that relate with the operation management from a business perspective. Analyst selects the top retail company named Tesco in order to analyse their logistic operation management. However, primary data are collected from via interviewing Tesco. Following question were asked to management and staffs during interview in terms of collection of primary data. Do you agree that your logistic system is enough to deliver services or products to customer all part of the country? How far you believe that logistic system of Tesco managed in better way? Are the stores of Tesco consumable for frequent order? Do you think Tesco provide accurate range in delivery system of products and services? Is the logistic system support to management properly in stock level management? How far you agree that logistic system of your comp[ay provide financial shared services with the visibility of POs? Above mention question are used in interview round at the workplace of Tesco in order to collect data for the assignment. However, majority of the management of Tesco described their view that logistic system of the company faces several issues and does not support the management properly in their stock level. Moreover, there is wide range of bias information that provided by the manager as well as staffs of the company. Therefore, analyst used several methods or technology in terms of analysing data and generates relevant data that much helpful in constructing the study. Analyst used post-positivism research approach for analysing data and gaining details of research topic. Post-positivism research philosophy helps in aligning the assignment proper way. Deductive research approach was also used for analysing the study and building the path. Deductive research approach allowed in analysing the data hypothetically and conducted a suitable result that helpful for the study. However, descriptive research design was also used in terms of gather relevant data for the assignment. Tesco was first founded as a market stall in the East End of London in 1919. However, in 1929, Tesco first opened their stores in retail sector in UK. Since 1929, the company has achieved continuous growth in their business by providing quality products with low cost (Tescoplc.com, 2015). Thus, Tesco builds good relationship with the consumer and develops trust that helps in making the largest retail sector not only in UK but also in the world. Market review of 2014 of Tesco demonstrates that, the company currently operates within 12 countries worldwide such as UK, Australia, Singapore, China, Japan, India, etc. Apart from that, Tesco employs more than 530000 staffs within their 2291 stores in different locations worldwide. In UK, Tesco has more than 780 stores. Moreover, the company serves more than 10 million customers per week in all part of the country. 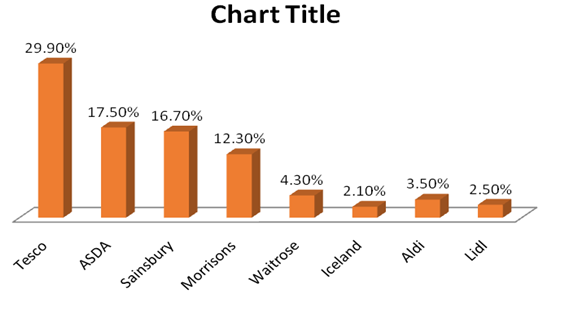 In grocery retail sector, Tesco covers the top position in UK among the all grocery retailer such as ALDI, ASDA, etc. Bhadur (2008) argued that supplied 30 percent grocery products in UK. Bisen and Srivastava (2009) acknowledged that, Tesco was mainly delivers the food products. However, the company sells cloths, fuel energy, electronics products as well as provides financial services. Tesco is the largest group in business in UK. It has more than 310000 employees and over 2999 stores in all part in UK. The CEO of Tesco, Dave Lewis said that major part of profits and sales of Tesco Plc more than 65 percent come from the business in UK. However, CEO also said that major part of sales and profits are coming because the company is the market leader in UK. Customer Service: Tesco provides multi channel service to their customers. However, in 1997 Tesco was the first retailer that provide home shopping service to their consumer and grown their business largely. Boone (2012) opined that Tesco was the most profitable online retail grocery service providers. Tesco sells over 2 billion products in one month. In their e-commerce websites www.tescoplc.com, implement the click and collect service facility. It facilitate to provide multi channel service to consumer by offering the people to pick the purchased product where it suited such as in home or office or college, etc. Apart from that, Tesco provides self-service process that allowed in involving the customer with their delivery service (Bouraad, 2010). Tesco also provides club card to their loyal customer that offer additional benefits. It is also helps in building relationship with customers. Market Share: In grocery market in UK, Tesco is the leader of market. The company acquire 30 percent market share of overall grocery market in UK. However, market share of Tesco in UK grocery market has shrunk (Bowersox et al. 2007). The company runs their lowest level in grocery market due to British shopper discount chain ALDI and Lidl. In last 12 weeks, market share of Tesco dropped into 28.8 percent in comparison to 29.6 percent. Apart from that, in supermarket chains, the company is facing unpredictable pressure from the competitors such as Morrison, Waitrose, etc (Zhang et al. 2010). Competitors: In retail market in UK, Tesco Plc is facing many challenges from their competitors. There are several competitors in UK market that provides biggest pressure to Tesco such as ALDI, Lidl, ASDA, Waitrose, Morrison’s, Sainsbury, etc (Yang, 2011). Waitrose holds the 4.3 percent market share in UK retail sector whereas the main competitors of Tesco Plc ASDA hold the 17.50 percent market share. In order to develop and sustain competitive advantage for operating the global market, Tesco implement the fundamental of logistic strategy (Weele, 2010). It assist the company to manage effective their resources such as import and export of goods flow, information, etc. Logistics strategy pays the important role in their inventory, integration of information, warehousing, packaging, transportation, material handling, etc. Customer Service: Nature as well as behaviour of customer changes rapidly. As the Tesco is leaders in retail market in UK, demand of products or service increased (Choudhury, 2010). Therefore, due to high demand of customer unable to manage their quality in both services as well as products. Logistics Costs: Tesco mainly focus on physical distribution for delivering products to the customers. However, Majority if companies in these days especially the competitors of Tesco uses e-logistic strategy in terms of product delivery (Edwards, 2011). It demonstrates that Tesco loss 30 percent of their sales value. Organisational Conflicts: This is also a big issue of logistics strategy of Tesco. There were not present any clear responsibility for the logistics of Tesco (Esper and Russell Crook, 2014). It creates complexity in business and the management of Tesco Plc unable to maintain the information about stock level. External Pressure: Continuous change in external environment regulates excessive pressure for Tesco. Apart from that, most of the company especially the companies from British area provide low cost products with high quality give pressure the business of Tesco Plc (Fernie and Sparks, 2009). High growth rate of ALDI and Lidl decrease more than 1 percent market share of Tesco Plc in retail industry in UK. Trade Offs: According to top level management of Tesco, the company is looking for managing their logistics system in better way especially for the distribution and order system in their stores (Viens, 2008). Tesco is lacking behind the better management in logistics company has even applied several form for strategies like JIT in logistics which was initially very much has changes its way traditional form of logistics. The delivery of raw materials of products and services was very much on time (Gandolfo and Sbrana, 2008). However, as the company started expansion project of opening of more than 3000 stores all round UK has made the JIT-L more ineffective which is why Tesco has to incurred huge loss of lack of product availability in 2010. For example criteria for supplier selection are being anticipated to change which again increases the delivery time of inbound shipment of the logistics has increased (Lasserre, 2004). The overall logistics cost has been increased due to lack of the proper transportation system. Issues in Transportations transfers: One of the major problems for the Tesco is transfers of materials and finished products to the stores and end consumers. Poor transportation process because of the increasing in stores ahs creat5ed lost of rift among the stores (Singh and Chand, 2010). For instance store in Birmingham has given the order of grocery items like rice, wheat and maize which has been sent wrong to the Manchester stores because of the poor technological error by the JIT-L. there has been ample evidence which shows that, inventory level within the stores not been up to date as the JIT is known for maintain the inventory level which was going low and tracking of trucking is cannot be done because of long distance range (Su et al. 2011). Apart from that, freight consolidation from manufacturing B to B because of the poor long distance freight consolidations and receiving shipment separately. Moreover, there is problems in supplier clustering because of the number of locations of conditions centers are increasing which is why the JIT transpirations system planning is getting poorer (Bizforum.org, 2015). Ordering process: When it comes to ordering process, it consists of number of activities like collecting, checking, entering and transmitting order information’s. JIT –L is not been working lately because of the increase in order cycle time is increasing (Su et al. 2011). As the customer are giving the order to the time the customer receives the order is very much poor because of the poor order cycle time which is customer not satisfied. This is hampering the more than 20,000 online customers who are not able to receive their products in time. Apart from that, JIT-L is sometime mixing the order of the client with others. This problems is been one of the major cause of the failing of the JIT-L within the Tesco (Couper et al. 2011). There has been huge gap in the JIT-L because of the difficulty level of implementing the JIT –L in new stores which has been opened all over the UK and Europe. As most of the Tesco stores are facing no stock to follow on and the company has to also loose suppliers which also has been reason for stop the production at very short notice (Doukidis and Paul, 1990). Another major issue within the company is its reverse logistics practiced. Reverse model of the logistics of the Tesco is being in the scrutiny because of the return products are not being return within the time given limited that is promised by the Tesco (Gandolfo and Sbrana, 2008). Although company has been able to capture large market share but company fails to fulfill the demand of the customer on time which is why company is losing its market from its competitors like Asda, Boots limited and Sainsbury (Simpson and Erenguc, 2005). The model depicted above, the products which are in return because of the manufacturing defect or the other reason for defective is been creating problems for the clients how are not able to track their orders cancellations and the return of the good within the given time limit. As oppose to that, reverse logistics which company is been using is traditional method of supply chain model which consist of lack of automations in return process. Lack of office automation in return logistics is killing the business of the companies worldwide (Singh and Chand, 2010). As the communication plays important role in faster full filling the demand of customers and information flow. Lack of the proper way of managing the information helps the organisation to lead the process of the reverse logistics. Lack of right kind of delivery system and order picking has created lots of problems within the companies (Couper et al. 2011). Tesco is not able to fulfill the demand of the customer within the given or rather promised delivery time. Benchmarking capability: Extensive research and managing retails reverse logistics for the large firms and manufacturer help the company to compare the operations performance of the competitors (Doukidis and Paul, 1990). Tesco benchmarking style is been not up to date because of the lack of proper integration for the transportations. Tesco Plc is the largest grocery retailers in UK and covers the top position in delivering good in retail sector in a very short period of time. However, Tesco Plc minimizes their competition and improve the market share in comparison to their competitors, the company has opted the home delivery operation their e-commerce website. Majority of customer did not reduce online offer. It destroyed the shopping viewpoint of Tesco for their customers. In order to low penetration and limited time, home delivery shopping and warehouse based picking was not believed from the viewpoint of economic (Stecher, 2009). For the outbound logistics for example outside of UK, rate of penetration grow high that did not make a valid option for warehouse based picking of purchased products. Jacobs et al. (2009) identified that the company unable to run successfully the home delivery shopping logistic system due to several challenges such as selection of variety trade-offs, delivery costs is too much high for outbound process that unable to management the operational costs for Tesco, limited online potential and the existing competition. Limited Online Potential: It was the potential challenges for Tesco. The new development system pure players for home delivery shopping were failed due to low availability of potential in online (Huang, 2012). Due to older information Technology system and minimum knowledge of their IT staffs, Tesco unable to shows their entire services and products to the consumers online based (Khachidze, 2012). Limited online potential was not able to motivate consumer in purchasing products from Tesco Plc. High Costs of Delivery: Tesco is the largest grocery companies in UK. However, the company market share covers a major part in worldwide grocery industry (Olson, 2010). Therefore, Tesco adopt the online purchasing facilities for their customers and provide home delivery for shopping. This logistics system was not properly executing due to high delivery costs especially for the unbound logistics (Rossetti and Dooley, 2010). Tesco had to pay more for delivered the purchased products when the item delivered from outside of London. It creates many difficulties in their operation management process (Sehgal, 2009). Due to high delivery costs in outbound logistic system, Tesco failed to implement the new logistics system in their operation channel. Selection of Variety Trade-offs: Demand of people or customer changes rapidly. Therefore, the new adopted logistics system of Tesco was introduced for the home delivery of products that purchased via online (Shalashova, 2013). However, there are many people who demand for cash on delivery of purchased products as well as many of customer demand for online payment of purchased products, etc. Wide range of trade-offs create complexity for new logistics system of Tesco. Existing Entrenched Competition: This is the major challenges of Tesco in logistic system. Earlier the company uses physical logistics system from the view points of their products and services (Shen, 2010). Unlike to their competitors, Tesco adopted home shopping delivery services. However, the existing competitors of Tesco such as ALDI, Lidl, ASDA, etc already developed their business successfully in grocery retail markets with wide range of logistics service such as e-logistics that allows the company in facilitating their customers for online payment as well as cash on delivery of purchased products very well (Singh, 2009). ASDA uses pay pal system in their e-logistic process that allowed customer in secure online trisection for purchased products (Skiadas et al. 2011). It builds loyalty of consumer that decrease market share of Tesco. Prince2 Methodology: As Tesco expand their business worldwide, they need to adopt Prince2 Methodology instead of Just in Time logistic process. It brings lot of opportunities for Tesco and will benefit the top as well as bottom line logistic system. This methodology save times by involving business standards and appropriate road map for future growth. Save money by involving re-assessment and updates the mandatory key points of business. Prince 2 Methodology helps Tesco in delivering quality and compliance service through product based planning, changing the process of controlled, redefining the roles and responsibilities of management and staffs, etc. E-Procurement System: In logistic system of Tesco, E-procurement system leverages the volume that reduces the high delivery costs for outbound logistics. It will also create appropriate structure for supplier’s relationship for improvement of supplier performance and service quality. Centralising the information about transaction such as purchased, process of orders, payment modes, etc. Moreover, it ensures the existing compliance and established fair contracts with customers. E-procurement system will allow Tesco in using technology such as request for quotation (e-RFQ), Electronic request for information (e-RFI), request for proposal (e-RFP), etc. Thus, Tesco can able to prove that sources of their products and goods made with the agreement framework that enable them in offering product or service in best prices. Bhadur, R. (2008). Production and operation management. Jaipur, India: Book Enclave. Bisen, V. and Srivastava, S. (2009). Production & operation management. Lucknow, India: Word-Press. Bowersox, D., Closs, D. and Cooper, M. (2007). 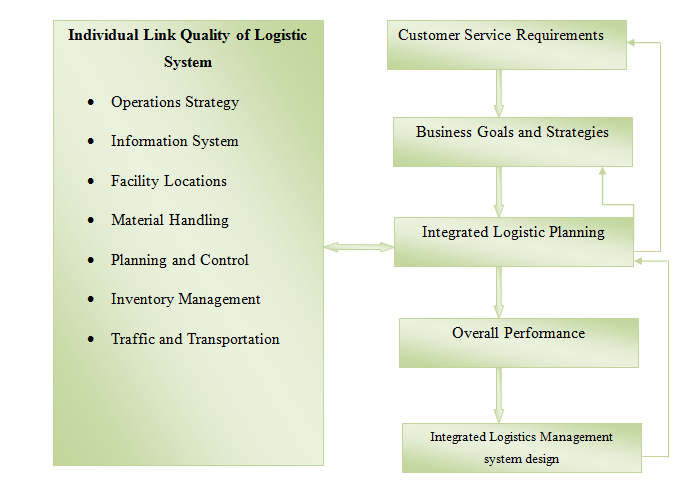 Supply chain logistics management. Boston, Mass. : McGraw-Hill/Irwin. Chaffey, D. (2009). E-business and e-commerce management. Harlow, England: FT Prentice Hall. Chopra, S. and Meindl, P. (2007). Supply chain management. Upper Saddle River, N.J.: Pearson Prentice Hall. Edwards, J. (2011). DOD's 2010 Comprehensive Inventory Management Improvement Plan addressed statutory requirements, but faces implementation challenges. Washington, DC: U.S. Govt. Accountability Office. Huang, D. (2012). 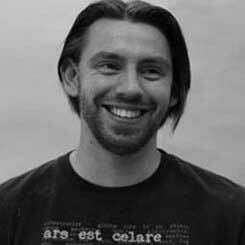 Intelligent computing theories and applications. Berlin: Springer. Khachidze, V. (2012). Contemporary research on E-business technology and strategy. Berlin: Springer. Sehgal, V. (2009). Enterprise supply chain management. Hoboken, N.J.: Wiley. Shen, W. (2010). Opening address. Nuclear Physics A, 834(1-4), pp.1c-2c. Singh, M. (2009). Operation management. New Delhi: Sonali Publications. Stecher, W. (2009). Annona. Norderstedt: Books on Demand. Zhang, L., Lu, B. and Kwok, J. (2010). Advances in neural networks--ISNN 2010. Berlin: Springer. Bouraad, F. (2010). IT project portfolio governance: The emerging operation manager. Project Management Journal, 41(5), pp.74-86. Choudhari, S. and Anand Raj, P. (2009). Multiobjective Multireservoir Operation in Fuzzy Environment. Water Resources Management, 24(10), pp.2057-2073. Choudhury, P. (2010). Reservoir flood control operation model incorporating multiple uncontrolled water flows. Lakes & Reservoirs: Research & Management, 15(2), pp.153-163. Conti, R. Angelis, J. Cooper, C. Fagegher, B. and Gill.C (2006) The effects of lean production on worker job stress, International Journal of Operations & Production Management. Vol. 26 No. 9, pp. 1013-1038. Couper, M., Kennedy, C., Conrad, F., & Tourangeau, R. (2011). Designing Input Fields for Non-Narrative Open-Ended Responses in Web Surveys. Journal of Official Statistics, 65-85. Doukidis, G., & Paul, R. (1990). A Survey of the Application of Artificial Intelligence Techniques within the OR Society. The Journal of the Operational Research, 363-375. Esper, T. and Russell Crook, T. (2014). Supply Chain Resources: Advancing Theoretical Foundations and Constructs. J Supply Chain Manag, p.n/a-n/a. Fernie, J. and Sparks, L. (2009). Logistics & retail management. London: Kogan Page Ltd.
Fine, C. (2013). Intelli-Sourcing to Replace Offshoring as Supply Chain Transparency Increases. J Supply Chain Manag, 49(2), pp.6-7. Gandolfo, A. and Sbrana, R. (2008). Reverse Logistics and Market-Driven Management. Symphonya. Emerging Issues in Management, (2). Jacobs, F., Chase, R., Aquilano, N. and Chase, R. (2009). Operations and supply management. Boston: McGraw-Hill. Kayakutlu, G. and Bakan, G. (2010). Effective supply value chain based on competence success. Supply Chain Management: An International Journal, 15(2), pp.129-138. Lasserre, F. (2004). Logistics and the Internet: transportation and location issues are crucial in the logistics chain. Journal of Transport Geography, 12(1), pp.73-84. Olson, E. (2010). Supply chain opportunity in an uncertain economic recovery. 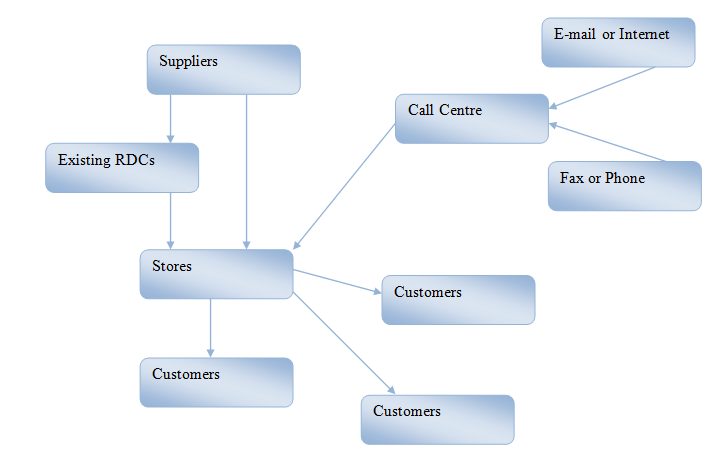 Supply Chain Management: An International Journal, 15(6), pp.488-492. Rossetti, C. and Dooley, k. (2010). Job types in the supply chain management profession. Journal of Supply Chain Management, 46(3), pp.40-56. Shalashova, N. (2013). Logistic system azov seaport and waysto optimize. The Russian Academic journal, 25(3). Simpson, N. and Erenguc, S. (2005). Modeling multiple stage manufacturing systems with generalized costs and capacity issues. Naval Research Logistics, 52(6), pp.560-570. Singh, O. and Chand, S. (2010). JIT practices in supply chains: a review and modelling for supplier base reduction for electronics industry. International Journal of Logistics Systems and Management, 6(1), p.113. Skiadas, C., Dimotikalis, I. and Skiadas, C. (2011). Chaos theory. Singapore: World Scientific Pub. Co.
Su, W., Qin, P., Li, L. and Huang, X. (2011). 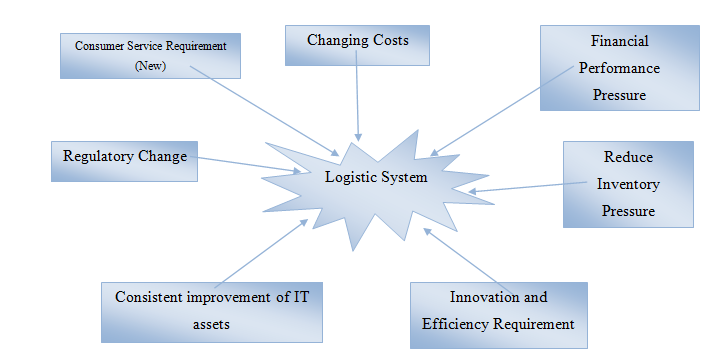 Research on JIT Production Logistics Management System. AMR, 328-330, pp.717-720. Svensson, G. (2010). Teleological approaches in supply chain management: illustrations. Supply Chain Management: An International Journal, 15(1), pp.16-20. Viens, A. (2008). Operation of Justice in a Public Healthcare System. American Journal of Bioethics, 1(2), pp.1c-2c. Yang, C. (2011). Supplier Selection of Multi-Agent Logistic System. KEM, 467-469, pp.614-619. Bizforum.org, (2015). Reverse logistics a supply chain opportunity. Available at: https://www.bizforum.org/whitepapers/CSC-3.htm [Accessed on: 07.01.2015]. www.siam.org, (2015). The role of transportation in logistics chain. Available at: https://www.siam.org/journals/plagiary/1657.pdf [Accessed on: 07.01.2015].